More and more cities in Europe replace their diesel-driven buses by more environment-friendly engines. 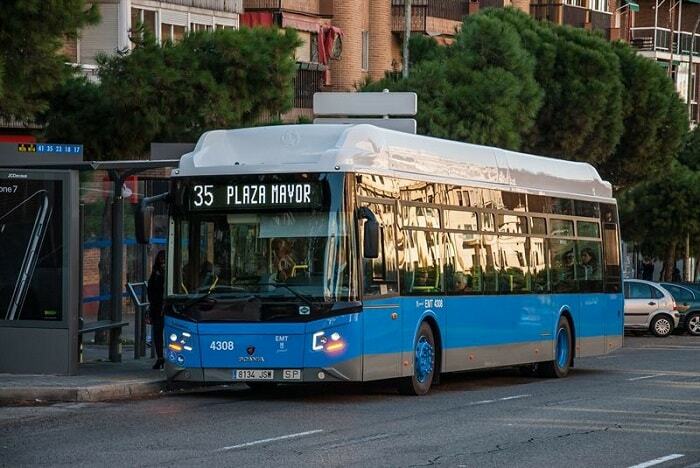 Now, the Spanish capital Madrid catches up by ordering 160 buses with gasoline engines. According to Scania, a manufacturer of trucks and buses for heavy transport applications, this order is part of a complete bus renewal program of Madrid’s public transport company ‘Empresa Municipal de Transportes de Madrid (EMT)’. The first 80 buses will be delivered this year. The remaining 50 percent will follow in 2018. In a previous order in 2016, already 48 buses were ordered at Scania. Thus, further 208 of the currently 1500 buses in Madrid will be refueled with gas next year. Amongst other European capitals, Madrid aims to ban diesel-powered cars and trucks by 2025. This ambitious project shall reduce carbon dioxide emissions and the high percentage of fine dust causing serious harm to health. “The quality of the air that we breathe in our cities is directly linked to tackling climate change,” said the mayor of Madrid, Manuela Carmena during the C40 meeting end of 2016 in Mexico. Madrid is, of course, not the first city turning words into action. Last year, London grabbed the headlines with the announcement to run the largest electric powered bus fleet of 73 e-buses by end of 2016. According to the mayor Sadiq Khan, 300 single-deck buses in central London will be replaced by 2020. Another story takes place in the German city of Hamburg. There, all-electric buses from different manufacturers can charge their battery with one charging station – it is not limited to a certain type of bus. Is it a chain reaction starting out there? Recently, London grabbed the headlines with the announcement to run the largest electric powered bus fleet of 73 e-buses by end of 2016. 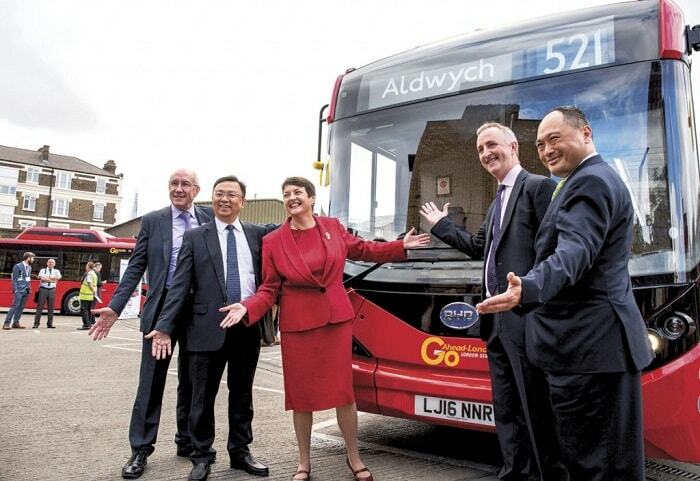 Furthermore, the mayor of London plans to replace all 300 single-deck buses in central London by 2020. Today, two cities in the Netherlands follow. The fully electrically powered bus fleet of Eindhoven and Helmond goes into service today. 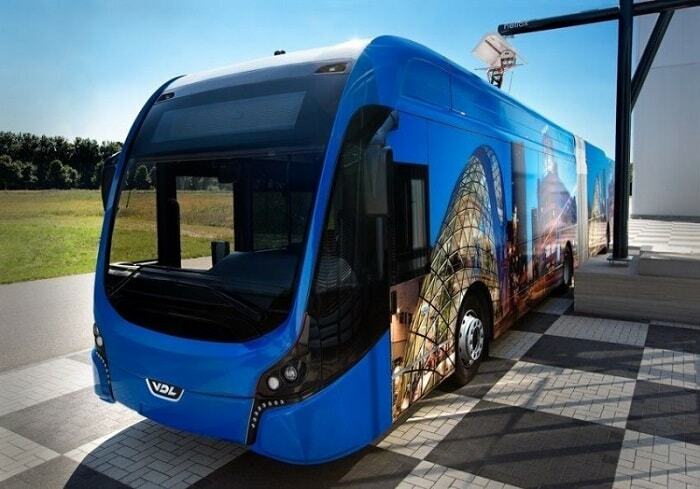 Compared to London, the Dutch buses, built by VDL, are longer and can carry more passengers. There will not be even one vehicle left in the bus fleet of Eindhoven and Helmond running on diesel. 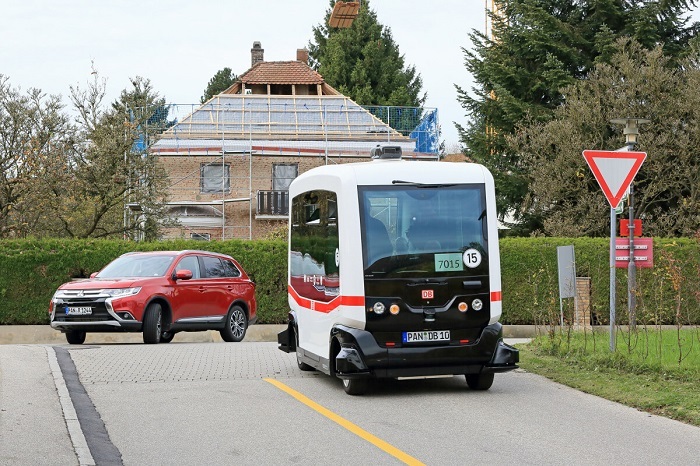 The biggest challenge of the operator, Transdev, is the range per battery charge. An innovative rotation system in combination with ultra-fast charging technology shall solve it. Allegedly, the battery of a bus can be charged within 30 minutes. The charging infrastructure of the bus terminus in Eindhoven was rebuilt completely. Instead of diesel pumps, 43 charging points are now providing the demanded power. During night-time, all buses will be fully charged. In order to further reduce risks, a shift of a bus driver starts only with a fully loaded battery. Additionally, a reserve of electric buses is ready to replace buses with empty batteries. Similar to the buses in Hamburg, the e-buses in Eindhoven & Helmond use a kind of pantograph to connect the bus with the charging point. It is mounted on the roof and was not deployed at this scale in the Netherlands until today. “This is an important step leading to sustainable bus transportation and a glimpse at the future of public transport,” says Bart Schmeink, CEO of Transdev Netherlands.